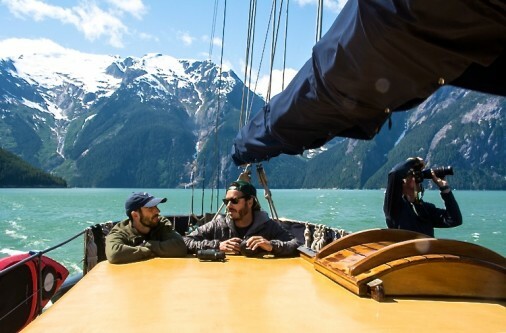 Exploring Canada's Kitlope—the jewel in the Great Bear Rainforest crown. ***Editor’s note. Thanks to writer John Zada for this post. As much as we get out in the field ourselves, we’re occasionally envious of a story we’ve assigned. This would be one of those stories. We are in Zodiacs, cutting frothy wakes against a torrent of snowmelt running into the sea. Our boats veer towards land and approach the edge of a wide estuary, where we tie up to a slab of driftwood on the riverbank. One of our guides disappears over the horizon, binoculars in hand. A minute later, he re-appears and waves us up. Atop the estuary, the scene transforms. We wade knee-deep through a symphony of grasses and wildflowers—all bathed in the warm light of the late afternoon sun. Silverweed. 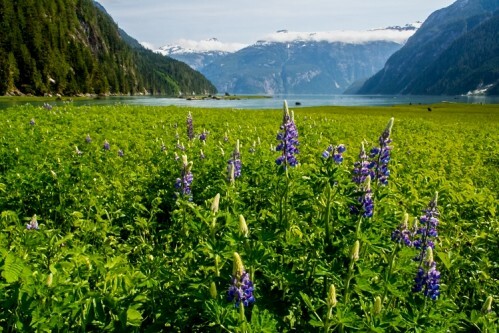 Nootka Lupine. Angelica. Heracleum. I’ve landed in a naturalist’s dream garden. Fresh grizzly bear tracks appear. Moose and wolf prints, too. And as the scene widens to take in towering snow-capped mountain peaks, deep green valleys and the inky blue waters of the nearby ocean, my mind reels to think that people once lived here. We are at the mouth of the Kitlope River Valley, deep in Haisla First Nation territory. 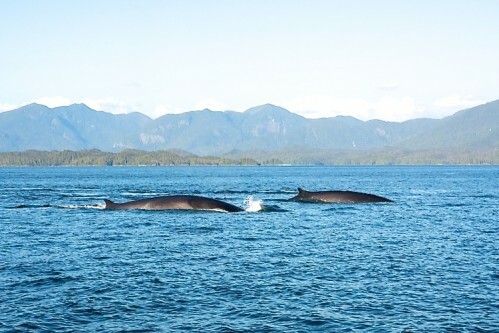 This achingly pristine ecosystem is situated in the fabled Great Bear Rainforest of British Columbia—which made the news recently when First Nations, environmental groups, forest companies and the B.C. government signed an agreement to bring different levels of protection to 85 per cent of the region. Over the last three years, I’ve been exploring the mossy interstices of this vast, labyrinthine region. For just as long, I’ve wanted to visit this very corner, spoken of as the jewel in the crown of the Great Bear. The estuary we’re exploring is on the edge of the Kitlope Heritage Conservancy (known simply as “the Kitlope”)—a 3,200-square-kilometre park tucked inside the province’s Coast Mountains. 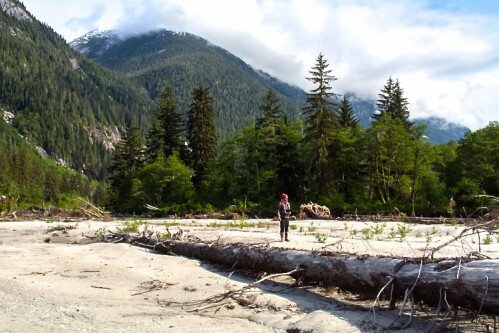 In 1994, the Haisla succeeded in protecting the Kitlope from clear-cut logging. The intervention was more than warranted. The park’s woodlands form the largest continuous tract of temperate rainforest, not just in the Great Bear but also on the planet. The area, which in the Haisla language translates to “source of the milky-blue waters” (owing to the glacial silt carried to the sea by local rivers), conjures an image so extraordinary that it needs to be seen to be believed. The Kitlope is imbued with a powerful mystique and, like other parts of this remote coast, it is nearly impossible to access without a boat. 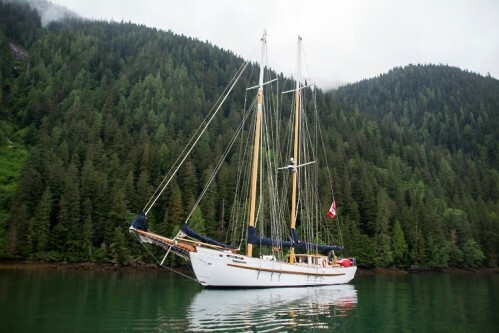 So when an opportunity arose to join 12 others in an expedition to the Kitlope aboard the Maple Leaf, a century-old schooner run by Maple Leaf Adventures, I jumped. Our plan is to reach the mouth of the Kitlope River after travelling to the end of the Gardner Canal, a fjord-lined Pacific inlet. Once there, we will continue upstream in zodiacs to Kitlope Lake and possibly beyond, into the area’s tributary system—a veritable terra incognita. 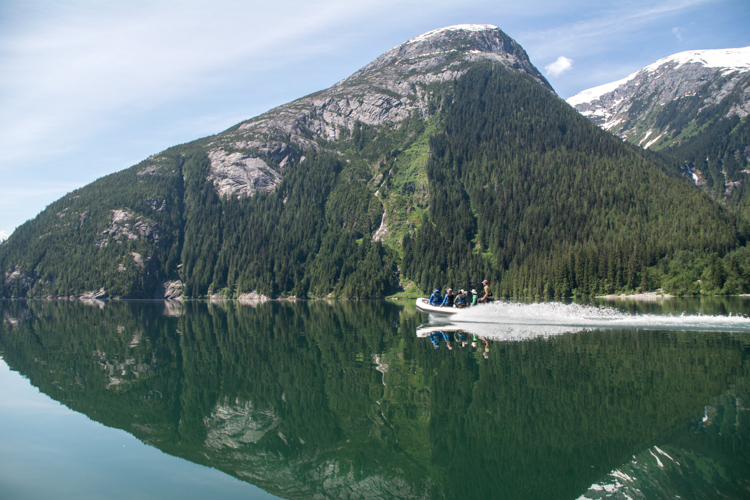 But there is a catch: many an attempt to reach Kitlope Lake, and beyond, has been frustrated because the river is often too shallow for outboard motors. Maple Leaf’s resident naturalist, Briony Penn, a veteran explorer of the coast, has tried four times to reach the lake without success. “We’ll make it upriver in one of two ways,” she says. “Either if it rains. Or, if the river’s water level remains high with snowmelt. And right now, there’s no rain in the forecast.” Luck, we realize, will need to play its part. 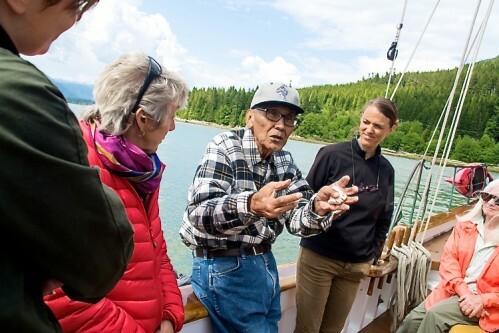 Our shaky optimism gets a boost during a visit with Cecil Paul, an 83-year-old Haisla elder. He spearheaded the campaign to protect the Kitlope and is reportedly the last living person to have been born there. Cecil wishes us well on our trip to Kitlope Lake, which he calls “The Cathedral,” and tells us to remain alert on our journey. “Wash your eyes and ears when you reach the lake so you can take everything in clearly,” he instructs us. None of us take his words lightly. Cecil is a man brimming with wisdom and insight. We bid Cecil farewell and set off that same day. 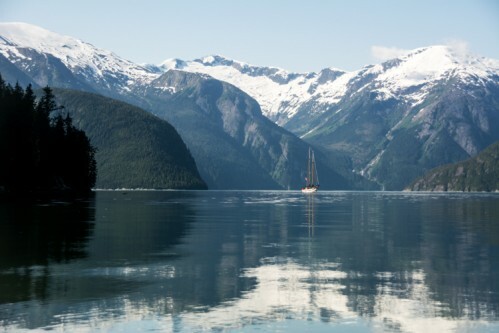 From Kitamaat, we travel south along the Douglas Channel, through Devastation Channel, and into the mouth of the Gardner Canal—at 90 kilometres, the longest fjord on the B.C. coast. It is only on the second day, after emerging from a long lunch below deck, that I realize what I am heading into. Gone are the misty skies, the conical green mountains and occasional clear-cuts—all a minor opening act that had exited stage left during my meal. In their place is a very different landscape, one that is steely and absolute. Granite walls rise straight up from the sea, towering thousands of feet above us, their snowcaps resembling a cake’s hard icing. Thin ribbons of waterfall curtain almost every precipice, tumbling onto tree-choked niches of rock. 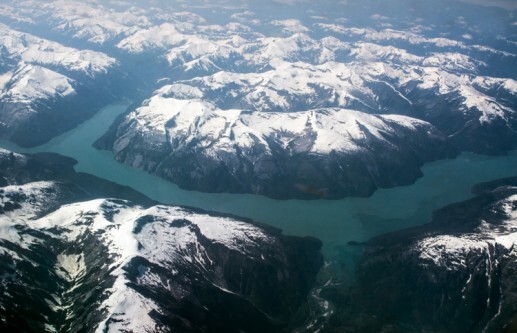 Even the colour of the ocean has transformed from denim blue into an opaque turquoise, the Haisla’s “milky-blue waters”. Here two ecosystems, the coastal and interior, collide and intertwine to produce a hybrid filigree of the two. Everyone aboard the Maple Leaf has a reason for being here: some are drawn by the prospect of seeing whales; others want to photograph bears; mine is to dwell in the haunting landscape. As we move into the Kitlope, it is a preoccupation we all begin to share in equal measure. Why, I wonder, are we so drawn to these mystical landscapes? What is the power that idyllic nature holds over us—beyond its beauty? What drives so many of us to make these pilgrimages in the first place? As with most things, there isn’t just one answer. Of course, it’s in our nature to be in nature. It’s inherently good for us, good for our bodies and our brains. We crave the emotional charge, the trance-like state that comes with experiencing awe, with feeling small. We become more alive and alert moving through new and challenging surroundings. But as I observe my reactions, and those of others around me, I can’t help but sense these are just secondary explanations. There has to be another more fundamental reason. An idea from Swiss-born philosopher/writer Alain de Botton returns to me as we travel in Zodiacs past the estuary, past Cecil’s stunning lake (“The Cathedral,” which the swollen river allows us to access), and deep into the Kitlope’s matrix of mountains and valleys. It comes to me after we wash our eyes and ears, as Cecil has advised. What if we see objects in nature as not just as the things that they are, but also as qualities, or virtues that they embody? Moving up the Tezwa River, a tributary of the Kitlope, you can see strength in the mountains, determination in the trees growing on precipitous cliffs and joy in the wildflowers of the estuaries. These scenes, unfolding with calm and patience, stand in contrast with our often-frenetic lives, in which we hurry but accomplish little, properly. Nature has many components, but its essence is single, whole. We, on the other hand, suffer from fragmentation, from competing desires. We sometimes try to become what we are not. Nature doesn’t. Could it be that we seek nature, perfect nature, and its idyllic landscapes also because the qualities that nature embodies are virtues that we yearn for in ourselves? Later that day, we return to the schooner. Our journey home, via a different route along the outside coast, brings us into contact with whales and more lofty vistas. Through it all the word “cathedral” stays with me. It comes to me again on the flight home, as my plane coincidentally passes directly over the Kitlope and its sparkling lake. I realize Cecil’s choice of words holds yet another answer to my question. To look upon an idyllic landscape elicits wonder. Europe’s gothic cathedrals and Islam’s great mosques, with their organic designs and motifs, were meant to evoke the grandeur and complexity of nature. One might even say their builders tried to mimic the psychological impact of nature. Why? To create a bridge to something higher. Something ineffable. Sublime nature also transports us to the junction where the finite meets the infinite. Where another measure of things begins. This sense of refinement approaching perfection is the underlying quality, the fundamental virtue, we yearn for in nature. It’s what we’re drawn to in an idyllic landscape. Conservation of nature in Canada, and elsewhere, may not just be important to maintain ecology, or an ancient cultural context. Perhaps we also need to conserve some places, in their perfection, for their power of metaphor. Areas like the Kitlope not only serve to remind us of our deepest origins, but they also nudge us towards that which we strive to become. *Our writer was a guest of Maple Leaf Adventures. This story was not reviewed or edited by our partners before publication. “The Cathedral” What a magnificent place! This kind of material forces you to think in superlatives, when all you really want to do is look and marvel.